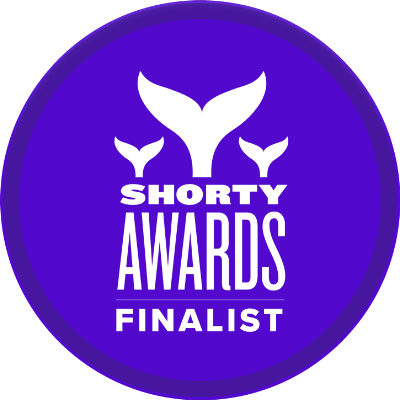 ATLANTA, GA – March 26, 2019 – MELT (www.meltatl.com), the Atlanta-based, award-winning sports, entertainment, culinary, lifestyle and esports marketing agency announced today that they and their client, The Coca-Cola Company have been named finalists for the prestigious 11th Annual Shorty Awards. They are nominated in the Snapchat Category for MELT’s 2018 ESPN College GameDay Bitmoji Filter Campaign. Brand and organization winners will be announced leading up to and during the awards ceremony on May 5th, 2019 at the PlayStation Theatre in New York City. MELT is up against Fuggler’s “Adopt At Your Own Risk” campaign and Illumination, Universal Pictures and Essence Global’s campaign for “The Grinch” in the Snapchat campaign category. MELT has represented The Coca-Cola Company for more than 18 years including the activation of 17 NCAA Final Four Tournaments and 6 ESPN College GameDay seasons. In the past few years digital and social media has become an essential part of every activation, making it a prominent strategy in each of these properties. Leveraging Snapchat’s Bitmoji integration, MELT created custom Bitmoji avatars for ESPN’s College Gameday Talent as well as custom University-themed artwork to create Snapchat Filters for each stop on the tour. Coca-Cola’s wide range of existing assets made this campaign extremely relevant and fun for fans to engage with. Fans could post their own photos using the filters, that featured popular campus spots or beloved mascots. 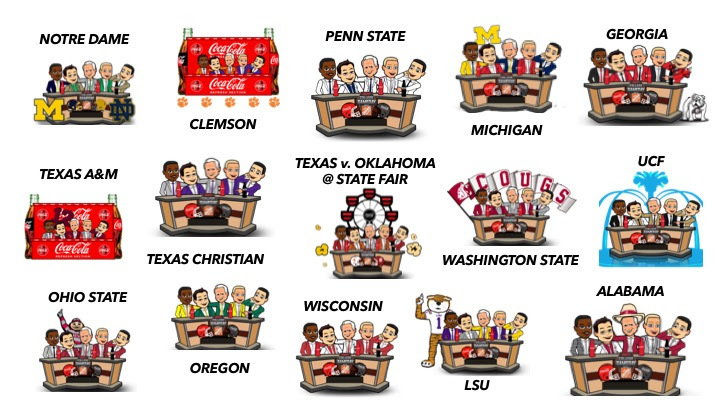 Iconic ESPN College Gameday Desk and Talent was recognizable in an art format, putting a unique Coca-Cola spin on the asset. MELT’s artists and graphic designers created unique filters each week, making them special to each audience. MELT’s Social Media team continues to lead the sports marketing industry standard for clients such as the recent grand-opening of Cam Newton’s “Fellaship” Members-only Cigar Club during Super Bowl 53 ; the introduction of Frank “The Big Hurt” Thomas’s 404 Vodka; Corky’s BBQ and many, many others. Founded by CEO Vince Thompson in 2000, MELT, LLC, is an Atlanta based fully-integrated sports, esports, entertainment culinary and lifestyle marketing agency offering clients advertising, original content development, digital, social media, event and experiential marketing, retail and consumer promotions, brand strategy and sports property evaluation and activation. MELT has won and been nominated for numerous awards; Interactive 2019 Marketing Awards, 2018 BizBash Top 500 People in Events, Atlanta Business Chronicle 2018 Most Admired CEO, Event Marketer’s 100 “IT” List, 2018 American Business, 2018 Shopper Marketing Effie, 2018 PR News Social Media, 2018 Cynopsis Sports Media, 2018 Cynopsis Social Good, 2017 Event Marketer, 2017 and 2015 ABA Agency of The Year, 2015 Cynopsis Social Good, 2014 Cynopsis Brand Marketer, Event Marketer EX Award, Biz Bash Top 50 Event Producer and Adweek Buzz Award. Check us out at www.meltatl.com, or on social media.